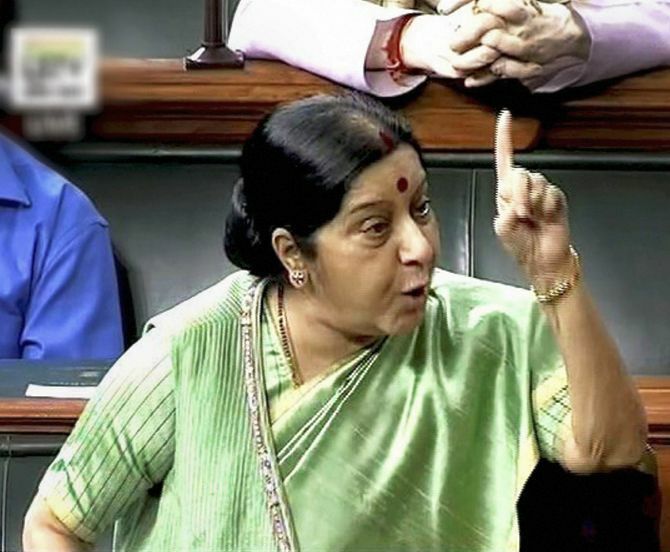 External Affairs Minister Sushma Swaraj on Wednesday termed as "unfortunate, painful and surprising" the African missions statement describing the attacks on African students as "xenophobic and racial", saying the Indian response to this cannot be called inadequate by any means. She told the Lok Sabha that racial crimes are "pre-planned", which was not the case with the recent attack on the African students by a mob in Greater Noida, asserting that the government is committed to their safety. She said the African group head of the missions, who had issued a strongly-worded statement, was called by her ministry and conveyed the government's response. Her deputy in the ministry V K Singh spoke to him about the prompt response taken by her as well as the Uttar Pradesh Chief Minister and told him that the African missions could have sought a meeting with the Prime Minister if they were still not satisfied, she said. "The dean's statement that our political leadership is silent is completely contrary to facts... His statement was surprising and painful. We have said that it was unfortunate. The Indian government's response cannot be called inadequate by any means," she said. Swaraj also objected to the African missions' demand for an investigation by the Human Rights Council and said the government has told him that India has robust human rights bodies and NGOs, besides an independent media and judiciary. Her statement came after K C Venugopal (Congress) attacked the government over the development and accused it of "diplomatic failure". Giving details of the incident, she said a youth in Greater Noida had died and his parents had blamed "drug overdose" for this. Locals took out a candle march, during which an uncontrolled mob of criminals who had infiltrated the crowd attacked the African students, she said. "Racist crimes are pre-planned which was not the case here," she said. Swaraj said she had spoken to Chief Minister Yogi Adityanath and tweeted about this. He promised an impartial probe and tweeted as well. She said M J Akbar, her deputy in the ministry, kept in touch with African missions and told them that the Prime Minister was personally monitoring the situation. Six people have been arrested by the state police and it was not proper to call the crime racially-motivated before the probe is completed, she said. Citing the recent incidents of attacks on Indians in the US and the killing of an Indian in Mozambique earlier, she said India did not dub them racially-inspired. "Let the probe report come first," she said. Swaraj said another purported incident of attack on an African student has turned to be untrue as the Kenyan, who had made the allegation, has admitted she had manufactured it. She had withdrawn the complaint and our inquiry has found that her visa had expired long back, the minister said.